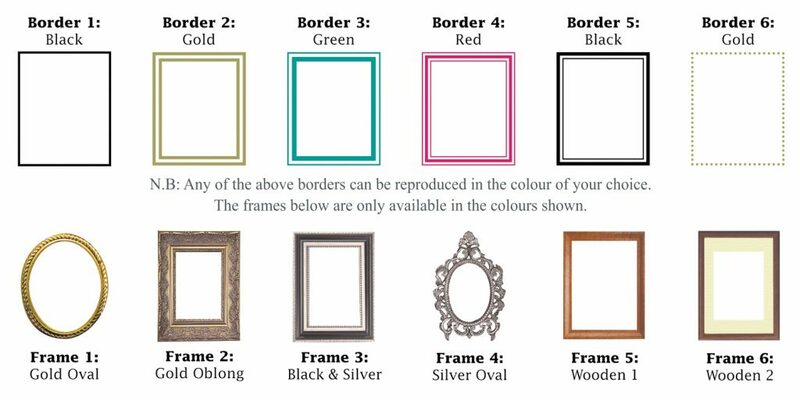 We have a selection of basic borders and ornate frames to use with your photographs. Some are shown below but more are available. Please contact us to discuss if you do not see exactly what you want. Cards can be laminated with a thin plastic coating to make them more durable and to increase resistance to spilt liquids and/or sunlight damage. It is a personal choice as to whether you choose this option but we recommend having lamination on memorial cards but not on acknowledgement cards. You can use any font you would like for any of our designs but the following is a collection that we recommend. If no preference is stated we will default to Palatino. 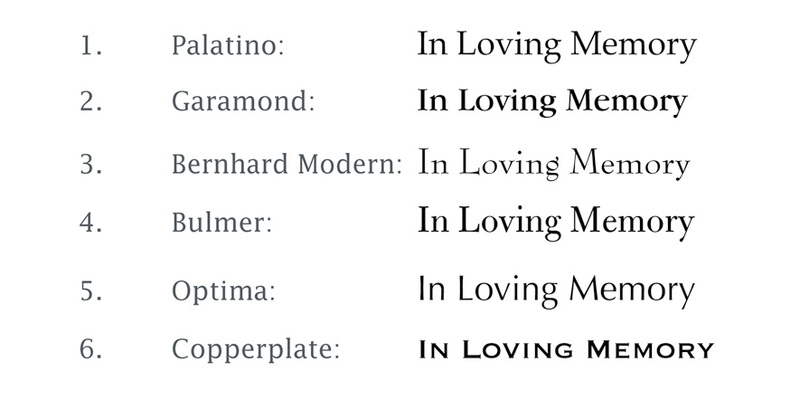 The following fonts are more ornate fonts that we suggest only using sparingly i.e. for a name or small verses. You can use any cross in any design in any colour you would like. Just choose from the styles below. If you do not see the style you would like feel free to contact us to discuss. Other styles are available and we can always create one especially for you.